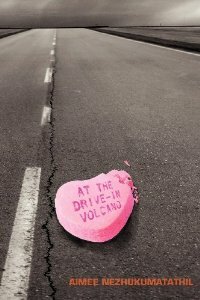 Aimee Nezhukumatathil was kind enough to give me permission to read her poem, I Am Not The Hand, from her collection, At The Drive-In Volcano. Thanks to one of my mentors at Antioch, Gayle Brandeis for introducing me to Aimee’s amazing poems. I only hope I do it justice. Recorded at the Don LaFontaine Voice Over Lab.